What follows is a reflection by Mount Madonna’s Head of School, Supriya Mary McDonald, on the importance of positive character development. Positive character development, along with academic excellence and creative self-expression, comprise the three pillars of Mount Madonna School. As the many tweets and millions of “likes” are posted on screens across the world, many people are calling this an age of disconnection. The irony of in­stant communication worldwide is that time spent on digital devices is taking away from real face time with others. Emojis aren’t the same as body lan­guage, which is how most of our com­munication is felt and understood. At Mount Madonna School (MMS), developing positive character is at the heart of what we do together. We build meaningful connections that encourage us to care about one another and our surroundings. Essential to an MMS education is the practice of non-harming, where we instill daily the lessons of kindness, truthfulness, forgiveness and empathy. Embedded in programs like big bud­dies, performing arts, athletics, learning journeys and service projects are team-building experiences that connect and encourage students to care for others. In little ways we can see positive charac­ter development, as students transition through their childhood to young adults. teachers and classmates in welcom­ing ways each morning. We hear the reflections of caring in student writ­ings, speeches and classroom dia­logue. We feel the warmth of a smile, a hug, an eye-to-eye message or a simple nod. We understand the chal­lenge of admitting mistakes, learn­ing to forgive, letting go and starting again to build trust when we’ve been hurt or hurt others. True character is what we do when people aren’t watching. Do we greet each other in friendly ways that in­clude those who might not feel in­cluded? Do we pick up that plastic bag or can on the beach or the play­ground when it’s not a scheduled clean-up day? Can we honestly admit our part of a problem and work to resolve through compromise? This year, we honor our students for the many seen and unseen ways they and their teachers care for one anoth­er. We encourage them to remember the lessons practiced on the mountain that connect, show kindness, and build confidence and respect for self and others. 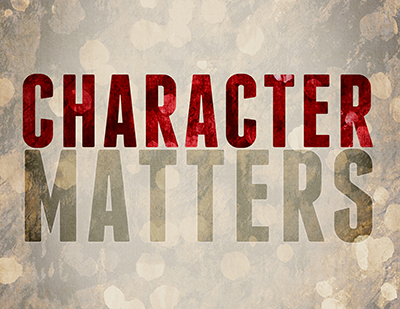 Character matters.